La Guardia Real lleva más de 10 años realizando para todos los madrileños y visitantes el Relevo en el palacio Real de Madrid. Este relevo es una representación de los que se hacían en tiempos de Alfonso XII y XIII. El Relevo Solemne se realiza los primeros miércoles de cada mes (excepto el mes de Agosto, Septiembre Actos Oficiales o malas condiciones meteorológicas) a las 12:00 en la Plaza de la Armería. El relevo en la Puerta del Príncipe se lleva a cabo todos los miércoles (salvo relevo Solemne, Acto Oficial coincidente o malas condiciones meteorológicas) a las 11:00 en la Puerta del Príncipe (frente a la Plaza de Oriente). Estirga: Un grupo de Pop en el hostal. Estirga: Son 4 compañeros a los que les une la pasión por la música y el pop/rock. Su música es muy vital, esta llena de energía y contiene un plus de originalidad que la convierte en muy novedosa. A través de Twitter nos conocieron y eligieron el Hostal La Plata para alojarse entre actuación y actuación en algunas de las salas emblemáticas de la capital: Siroco y el Búho Real. Confiaron en nosotros para poder descansar en un ambiente familiar y acogedor en plena Gran Vía; y nosotros encantados de que nos eligieran. Ha sido un placer haberos conocido y haber disfrutado de vuestra música. El Hostal recibe cada año cientos de clientes. Algunos repiten año tras año. Es el caso de Jorge Tapia: casi como un ritual, casi cada primavera española, regresan a Europa a deleitarse con el contraste del viejo continente. A su regreso antes de volver a Argentina se quedan en Madrid y se alojan en el Hostal La Plata. Jorge es conocido artista, miembro de la Academia Nacional de Argentina, dibujante con prestigioso reconocimiento y premio nacional en su país. Entre las numerosas distinciones de Tapia se destacan el premio de honor Ver y Estimar (1964), el premio Marcelo de Ridder (1974), el gran premio de honor de dibujo del Salón Nacional (1983), el primer premio de la misma especialidad en el Salón Municipal Manuel Belgrano (1994) y el premio Alberto Trabucco (1997). Sus obras figuran en las colecciones del MOMA de Nueva York, del Museo Nacional de Bellas Artes, del Museo de la Universidad de Texas y del Museo Artemio Alisio, entre otros. Y el Hostal le recibe y le despide cada año, deseándoles lo mejor…hasta la próxima! Salvador Felipe Jacinto Dalí, i Domènech fue pintor, escultor, escenógrafo grabador y escritor, con una visión muy particular del mundo. El Museo Reina Sofía de Madrid homenajea al artista con la extensa exposición: Todas las sugestiones poéticas y todas las posibilidades plásticas. Durante más de 4 horas podremos acercarnos a las obras de Dalí recorriendo su vida en las 11 salas habilitadas para la Exposición. Desde las primeras obras como pintor, el Surrealismo, el método paranoico-crítico, el rostro de la guerra,…terminando la última etapa donde confluyen estereotipos, holografías además de una reinterpretación de los grandes maestros, incluso de sí mismo. El mundo onírico, el surrealismo y la paranoia se unen en un baile de esculturas, pinturas, películas, discursos y publicidad en las que el genio plasma toda su esencia. La exposición permanecerá hasta el 2 de Septiembre de 2013. 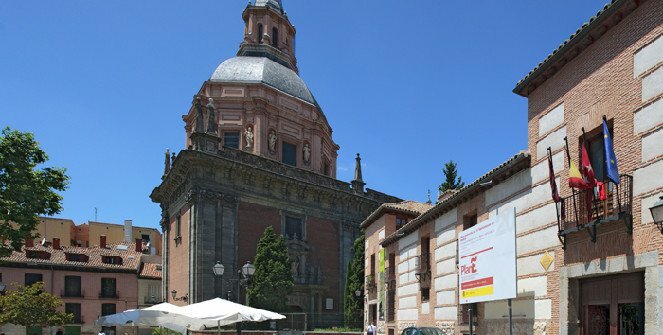 Se recomienda adquirir entradas por internet antes de acudir al Museo , ya que se han superado todas las expectativas de visita y se forman grandes colas en la entrada. Por fin Dalí en Madrid. Spanish tapas are snacks or small plates of food eaten usually in the evening, before dinnertime (which is served late in Spain) or before lunch during weekends at home. They are best enjoyed with a beer, wine or an aperitif. An integral part of Spanish cuisine, Madrid tapas are said to be among the very best. Here is a sampling of the most recommended tabernas or tapas bars in the city. Rustic yet refined, Matritum is set back from the busy bustle of Cava Baja. Enter into the cozy dining room and watch the dim lighting reflect off of the over 400 wines on display, which the in house sommelier will be more than happy to go guide you through. Treat yourself to one of Matritum’s specialties: pan seared foie with a confit of oven roasted apples and onions or a gratin of scallops in a luscious Cava cream. Better yet, brings friends and join in on a family style serving of patatas bravas with five cheeses. Long lines speak for the popularity of this Cava Baja mainstay. So be sure to arrive early and put down your name for one of the coveted tables. This will give you enough time to browse the chalkboard’s daily specials and skim the crowds for a friendly face. Dim lighting and laughter make it easy to find a conversation and enjoy the homey atmosphere over a glass of dry white Peñedes and their classic tapa of pork loin on a confit of onions. The tiny entrance to La Perejila is easy to miss despite its green color, but sneak a peak inside and the soft breeze of Andalusia will beckon you in. Flamenco memorabilia covers the walls and lends a distinct touch to the colorful nightspot frequented by the La Latina’s bohemians. Saddle up to the bar and toast to the vibrant atmosphere with a glass of Cava. Be sure to try the salmorejo, a deliciously refreshing soup similar to gazpacho, and if you are feeling like something heartier the toast of sobrasada and warm goat cheese with a drizzle of caramel will leave you craving for more and happy you haven’t missed this jewel of a bar. A total contrast to the sleek dining room, the bar area of la Camarilla with its bistro tables and worn terra cotta tiled floor, is the perfect pit stop on a tour through La Latina. After a morning of scouring antiques at the Rastro market around the corner, enjoy a typical Madrid breakfast of café cortado and toast with tomato and olive oil. Come back at night to pick and choose from the tapas on display, from salmon rolls filled with a scallop béchamel to sautéed mushrooms topped with green pardon peppers. While the night is still young, browse the long list of wines representing every corner of Spain and enjoy a glass while the music continues to play until the early morning. Come on a weekend and hear a medley of languages bounce off of the beautifully restored marketplace. Crowds of Madrileños and world citizens pulse through the wrought iron stands whittling away the hours with laughter and conversation. Home to small upscale shops by day, the market turns into one big tapas bar at night offering a wide range of delicacies from cured ham, to artisan cheese, olives, almonds, and melt in your mouth seafood tapas. Try the traditional sardine tapa with an unconventional curry sauce, a surprisingly divine combination. The Pinkelton & Wine bar has an excellent red, 2007 CLIO, the perfect way to sip the night away watching as the world passes by the glow of the Mercado. Hidden within the entrance to an apartment building, is a white door that takes you down into a cellar filled with small wooden tables. This is Bar Miguel Angel, the secret tip of everyone in the barrio: breakfast joint in the morning, white table dining at lunch, after work hangout for young professionals on weekends. But those who really know stop in between 7pm and 9pm, when the mood is mellow and the tables in the alcove are still free. Following tradition every glass comes with a heaping plate of tapas to choose from. Cured ham on pisto with melted goat cheese, or the ubiquitous tortilla Espanola, the options change everyday but the flavor is consistent. An institution for over 50 years, Jose Luis has locations throughout Madrid, as well as in Sevilla and Barcelona. 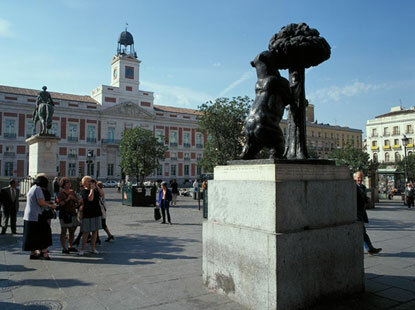 But the original is in the prestigious Calle Serrano in Madrid. A fashionable establishment of the 60’s, artists, writers, and professionals were drawn by the ambient and the large variety of tapas. Today’s crowd is a mix of decades of regulars, enjoying drinks at the bar or the daily menu. Try to get a seat at one of the two tables in the bar area to enjoy a casual meal among friends with all the pomp that Jose Luis has retained over the years. The counter offers a broad range of traditional tapas to choose from, be sure to savor a variety to see what makes the Madrileños come back day after day, year for year. The answer to many Madrileños search for modern, sleek, tapas at a good price, Lateral has several strategic locations throughout Madrid. Take a break from shopping your way down Calle Fuencarral with a medley of tapas at Lateral. But make sure to plan in some waiting time as the young and the fashionable flock here in droves for light dishes with a blast of flavor. Try the rolls of salmon filled with cream cheese and caramelized apples, a warm salad of grilled eggplant, caramelized onions, and goat cheese, or roasted pimientos de pardon with olive oil and sea salt-an emblematic tapa throughout Spain. Taberna Txakoli. Always full and crowded, this tapas bar in Cava Baja serves up delicious Basque pintxos (or pinchos) paired with Txacoli, a crisp white wine which is the namesake of the bar. Ordering is not a problem as you can just point to anything inside the glass display cases and they will prepare it fresh for you. Taberna de Antonio Sanchez. The oldest in Central Madrid, this La Latina bar was named after the original owner’s son who was killed in the ring during a bullfight. Bullfighting memorabilia adorns the interiors and conversations would still typically drift towards the sport. Try their smoked fish assortment with Valdepenas wine drawn from a barrel. 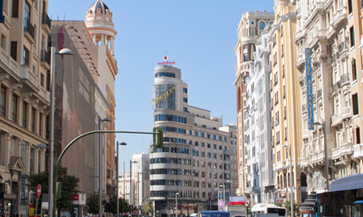 Discover Madrid at your leisure… while saving money!!! Madrid Tourist Card is a smart-chip card offering cardholders access to the city’s rich cultural heritage. 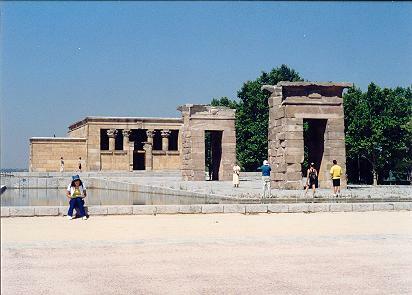 With that taken care of, all you have to do is have fun discovering Madrid!! Prado Museum, Thyssen-Bornemisza, Reina Sofia, Royal Palace, Wax Museum,Bernabeu Stadium Tour. Bornemisza Museum, Reina SofiaNational Museumand Royal Palace). Discountsin flamenco shows, discos and bars. A singularservice. All credit cards. •Includesmap ofthe city showing locations of participating establishments. 1. Take the Metro from Barajas airport to Nuevos Ministerios This will cost you 4.50 € or 5 €, depending on how far is your final destination.Also, this line of the Metro (Linea 8 – Rosa/Pink) is one of the newest lines so there are escalators and elevators to help you. At Nuevos Ministerios you can: a)Change lines to any other destination (see interactive metro information in English), no need to buy a new ticket. b)Exit the station and get a bus (see simplified bus map for visitors, Nuevos Ministerios is in the top-centre) if you are light on luggage. “Paseo de la Castellana” metro exit is recommended for better bus access, there you can (for example) take line #27 that will take you to Colón/Cibeles/Atocha in a few minutes with its “bus only” lane. You need to get a new ticket when you board the bus (1.5 €). c)Get off of the Metro line and enter Cercanías, the regional light rail line (connection is made in the same station, no need to go out to the street. Also, see the Cercanías map, Nuevos Ministerios is around the centre). In this case from Nuevos Ministerios, you can get off at Recoletos (between Colón and Cibeles), Sol, Atocha… Nuevos Ministerios is another new stop so you will also have escalators or elevators there. At Sol (the most recent addition to the Cercanías network) you will only have to climb one rather short stairway. The trains from Nuevos Ministerios – Sol are on Tracks/Vias 5 and 6 while the trains from Nuevos Ministerios to Recoletos or Atocha are on Tracks/Vias 1 and 2. This will cost you 1.20 euros (more if you go to distant destinations, as Cercanías can take you to places in the Madrid Region as far as El Escorial or Aranjuez). 2. If your final destination is around O’Donnell street, Puerta de Alcalá, Cibeles, Recoletos/Museo del Prado or Atocha you can also take, directly from the airport, the Express Bus Service (5,00€). But remember that traffic conditions in Madrid can be terrible, and as a general rule it is better to go underground, specially at peak hours. Visit at least one of the big three art museums, the Prado, the Reina Sofia and the Thyssen. If in doubt pick the Reina Sofia and see Guernica. Start on Cava Baja, stopping at will on this bar-packed street, then head into the depths of La Latina for more. Take a trip on the Teleferico, out into the depths of the Casa de Campo. Go to Plaza de la Villa and take one of the small alleys on the left hand side or at the back of the square. Wander aimlessly, follow your nose, change course at will, check out the churches – it’s the best way to see Madrid de las Austrias, the ancient city centre. 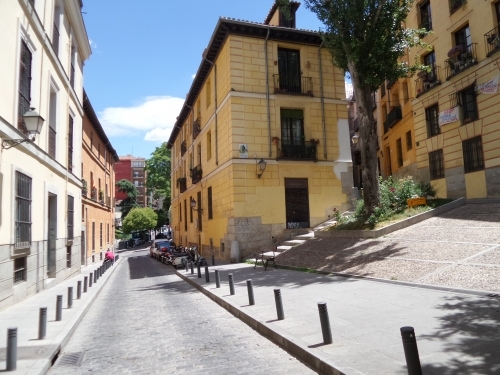 Malasaña – a really charming Barrio centered around Plaza Dos de Mayo. Check out the lovely tiled shop fronts, ignore the graffiti, and have a drink at Manuela Cafe, on Calle San Vicente Ferrer 29. The Retiro: for people-watching, romance, rowing, and relative peace and quiet. El Escorial or Toledo. It’s a toss up as to which is best. If you really can’t decide, try Chinchón instead. Taberna Miranda, at Plaza del Conde Miranda, 4, is local, cheap, has amazing food, and is generally very Spanish. Our favourite in Madrid. Arrive 9ish at weekends if you don’t have a reservation. Otherwise do snacks at the lively bar. El Monasterio de las Descalzas Reales, at Plaza de las Descalzas Reales, 3. A closed order of nuns still live in the private quarters of this monastery. Amazing treasures lie within.
. Last thing at nightWard off a hangover with Chocolate con Churros at Chocolaterí­a San Ginés, on Pasadizo de San Ginés, 11. Things lived up after 3 a.m., when locals gather to dip thick battery churros sticks into gloopy hot chocolate. The people of Madrid express their love for their city with the local proverb, “From Madrid to heaven, and in heaven a little window from which to see It”. Madrid Bike. 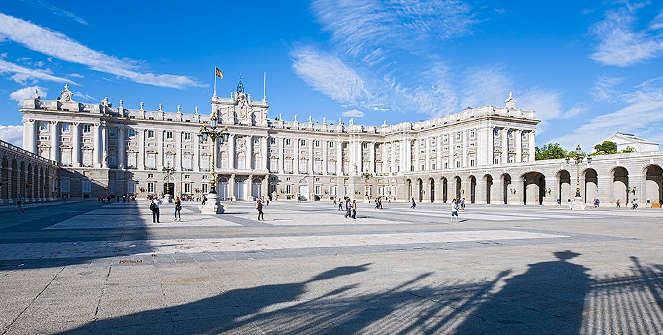 A wonderful tour and a pleasant and enjoyable way of exploring the city, pedalling through the streets and squares of Madrid’s historical and artistic centre. Time: 12 noon. 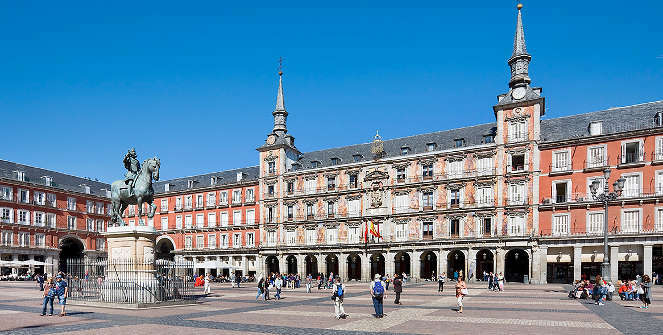 Previous booking required at Plaza Mayor Tourist Center (Plaza Mayor, 27) or by e-mail:visitasguiadas@esmadrid.com. The visits are limited to 20 people. 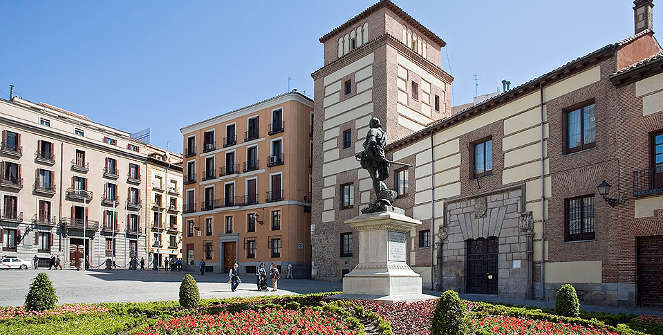 The tour takes you past the city´s last vestiges of medieval times, sucha as Plaza de la Paja, Plaza de San Andrés, Costanilla de San Pedro and Calle del Cordón, before coming to an end at Plaza de la Villa. 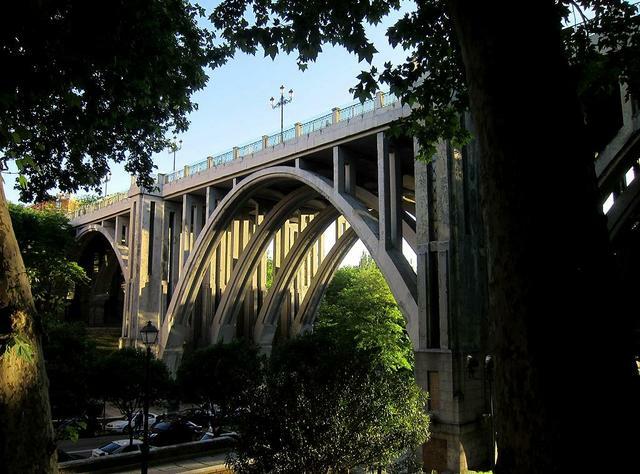 Departs from the Plaza Mayor and heads towards the Royal Palace and surrounding area, crossing the Viaduct to discover the very origins of the city of Madrid. Time: Monday to Saturday, 12 noon. Sunday, 10am.